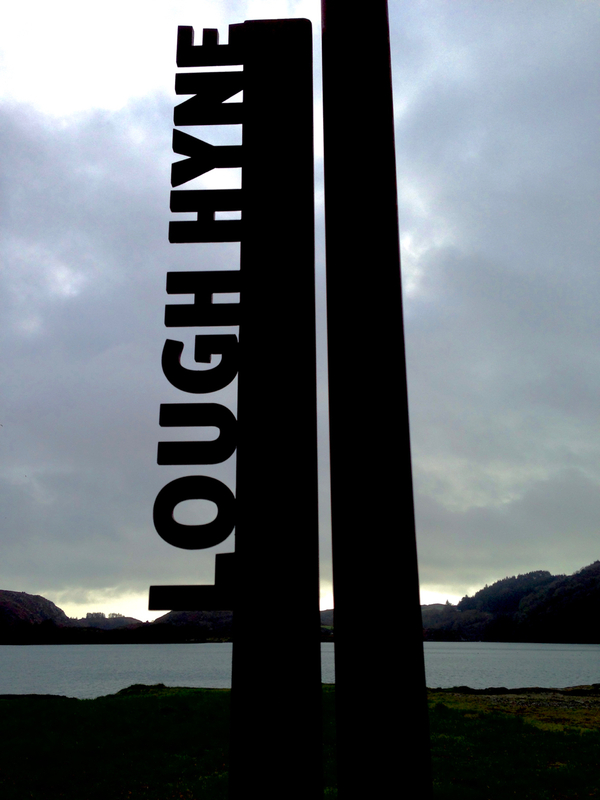 This entry was posted in Architecture, Irish Art, Lough Hyne, West Cork Blog, Wild Atlantic Way and tagged Corten Steel, Irish Design, Landscape Art, Red&Grey Design, Signage, Signature Points, Signs, Wild Atlantic Way. Bookmark the permalink. Well, these signs are as much sculpture as signs. 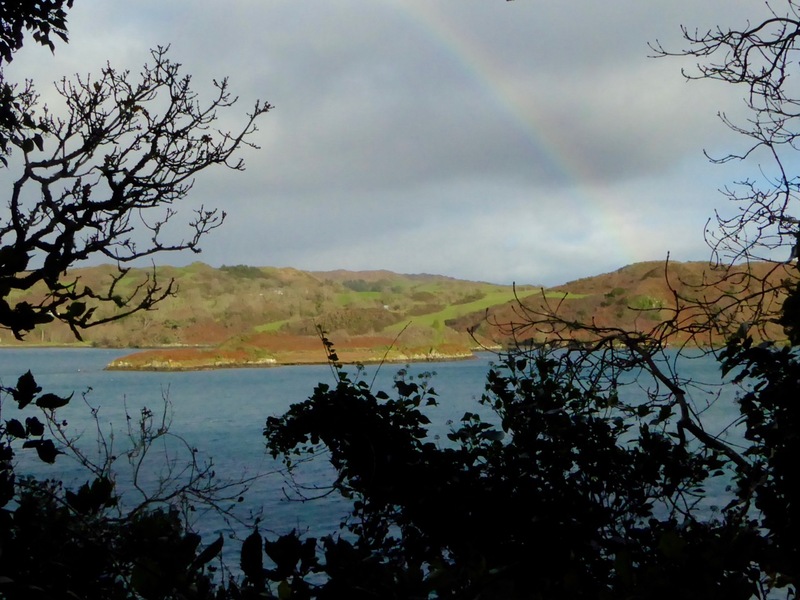 Presumably, everybody arriving at this location already knows that is it is Lough Hyne that they are looking at. So why bother with all this incredibly expensive corten steel signing ? Has anybody told you what the cost of this installation is ? Actually I like it, but generally I am distressed at the proliferation of signs everywhere. There are simply too many. And far too many of them are bossily instructional – they pollute the landscape and depress the spirit, a sign of the times. Count me in on the positive side – love them and Ahaneash’s description is perfect! Thank you Shauna. Keep those comments coming, everyone! I agree that the WAW logo is very well designed. I particularly like the way in which the strokes are subtly curved, suggesting both waves and a winding route. I have noticed that the version of the logo being used on some road signs is slightly different – the top lines are straight while the lower lines retain their curves. I actually like this as I think it combines the wave and route symbolism more effectively. Unfortunately some ‘copies’ of the original logo miss the subtlety entirely and only use straight lines throughout (and it is difficult to draw accurately – I know, I have tried!). The metal site markers are good too – they have a touch of mythic grandeur combined with modern materials that blend well with the landscape while retaining a bold prominence. Excellent, Peter! And thank you for pointing out the subtleties of the WAW logo. I don’t think everyone who sees the signs every day appreciates the thought that went into the design. 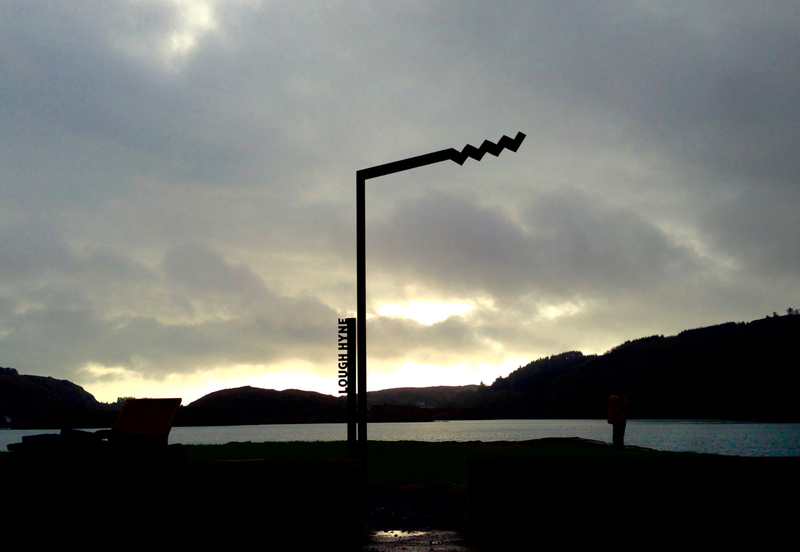 I have to say we thoroughly approved of the sign – bold, dynamic and it seemed to fit perfectly into the rugged landscape. We especially liked the lettering. Inspired. Thank you Amanda. It’s good to get some positives on this one… ‘Inspired’ is an apt word! Unsurprisingly I am in complete agreement with you regarding the new WAW signage. Equally I lament the awful standards in design exhibited on other signage commissioned by state and private authorities. Most lack any suggestion if imagination and often display an inability to convey a message clearly in the English language. I am reminded of a sign attached to a “bottle bank” which declared that person’s DEPOSITING material at the facility were liable to prosecution and imposition of a fine. Thank you Reddy. Most of the response so far has been negative… I hope Ireland doesn’t become like England in its conservatism – Never!! Modern “insights” if prevalent when most fine structures were being built would have robbed us of a built heritage of any worth.